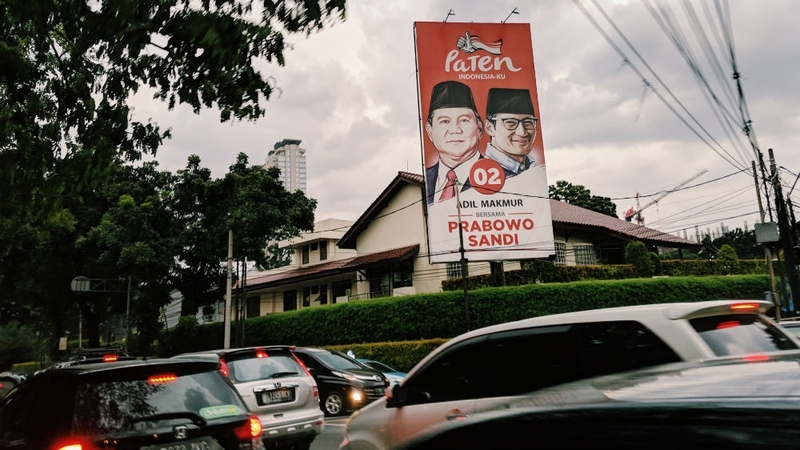 Jakarta, Indonesia – As the Indonesian President Joko Widodo campaigns for a second term after coming into power five years ago on a wave of reformist optimism, the voters who once backed him are wrestling with disappointment. Widodo – commonly known as Jokowi – promised to address human rights abuses and make Indonesia more inclusive. He won with 53 percent of the votes against former General Prabowo Subianto who has been implicated in past atrocities, including the torture and abduction of pro-democracy activists. The two are facing off again in the April 17 election, but Widodo’s former backers are now considering boycotting the vote. “I feel estranged from the current political climate,” 25-year-old Akmal Fadhlurrahman told Al Jazeera. “I voted in 2014. It was my first presidential election and I was really excited. I was an enthusiastic Widodo supporter. “I expected him to be the leader of conscience,” added Fadhlurrahman, explaining that Widodo’s decision to name Maruf Amin, a conservative Muslim leader, as running mate shocked him. Amahl Azwar is a gay man living in Jakarta. He also voted for Widodo in 2014 but now he said he was disappointed because the president failed to stand up for marginalised people like him. “As a gay man, my only option is to not vote,” said Azwar. “There’s no way I could elect Maruf Amin as vice president. It would be like signing my own death sentence. Of course, I would never vote for Subianto but if I vote for Widodo-Amin, what if they introduce anti-LGBT laws or something else that would make LGBT communities even more marginalised than we already are. “I just can’t do it,” he trailed off, frowning. The 2019 elections will be the first in which Indonesia will hold presidential and legislative polls on the same day. Voters will be presented with up to five different ballot papers to elect national, provincial and local representatives, as well as the president and vice president. 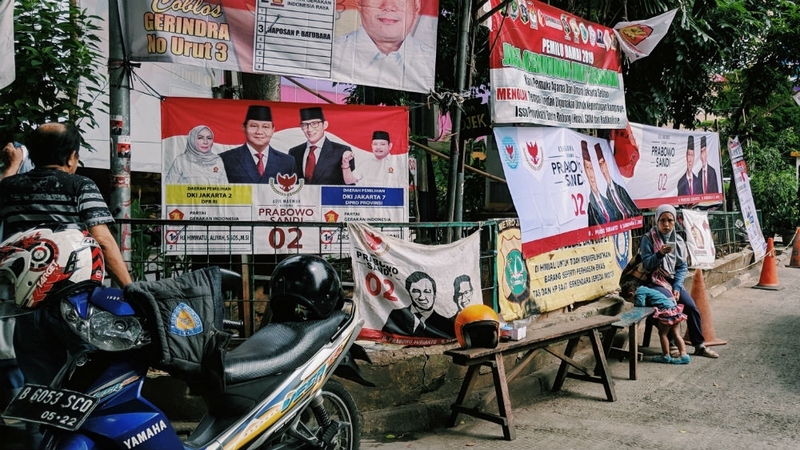 But with the choices on offer, particularly for the presidency, Indonesia has seen a trend that Rafiqa Quratta Ayun, a law lecturer at the University of Indonesia, calls “political golput” – not voting as a sign of protest. Golput is an abbreviation for “golongan putih” or “white group”, referring to piercing the white part of the ballot paper instead of a candidate’s logo. Indonesians make their choice by putting a hole through the ballot with a nail rather than marking a cross with a pen. “Golput is being used as a political attitude by voters trying to make rational choices,” Ayun explained. Many abstainers are women as well as people from Indonesia’s minority groups: ethnic Chinese, Christians, and LGBT people. Fadhlurrahman said he first became disappointed with Widodo after the president failed to defend then-Jakarta Governor Basuki “Ahok” Tjahaja Purnama who was prosecuted on blasphemy charges in 2017 for comments made on the campaign trail. Purnama, an ethnic Chinese, was freed in January after completing a two-year jail term. As head of the Indonesian Ulama Council, 76-year-old Amin was among those pushing for the prosecution amid mass protests whipped up by the hardliners. “The presidential candidates are opportunists trying to get votes from both religious extremists and [secular] nationalists,” said Fadhlurrahman. Many of those opting not to vote in the presidential elections will still vote in the legislative ones. However, some won’t be doing that either. Marantina Napitu, a 30-year-old Christian woman living in Tebing Tinggi, North Sumatra, is one of them. “There have been no improvements in human rights or fighting religious intolerance under Jokowi,” said Napitu. Religious intolerance has become a major issue across the archipelago since Widodo became president. Churches and Ahmadi places of worship have been forced to close, despite operating without problems for decades. A Buddhist woman was jailed for 18 months for insulting Islam after complaining about the volume of a mosque loudspeaker. Some Islamic groups have also labelled Widodo supporters as non-believers. Napitu voted for Widodo in 2014, believing that Jakarta and Solo had improved under his leadership. But, like Fadhlurrahman, his choice of Amin as running mate has proved hugely disappointing. “Indonesia has been divided in two since the 2017 Jakarta election,” she said, explaining that Amin and intolerant religious groups were behind the deepening of religious-based political identities. University of Indonesia’s Ayun believes that the non-voters are small in number and unlikely to have a significant effect on the outcome of the election. Most polls suggest that Widodo-Amin will defeat Subianto and his 49-year-old millionaire running mate, Sandiaga Uno. But Ayun is worried the phenomenon is open to manipulation by Widodo’s opponents. “Because most of these protest voters are educated people and activists who previously supported Jokowi, their attitudes and statements could be used by their opponents to encourage voters still on the fence to vote for Subianto and Uno,” she said. Bhagavad Sambadha, who is involved with an online project called ‘Saya Golput‘, or ‘I’m Not Voting’ shares Ayun’s concern. “We started Saya Golput to respond to the misperceptions and public misinformation about non-voters and protest voters,” said Sambadha. For 21-year-old Prasuti Madhyaratri Arsah from Sidoarjo, East Java, the misinformation Sambadha referred to have been a major problem during the campaign, which wraps up on April 13. “I voted in the last presidential election, but this time I’m going to golput,” said Arsah. “There are so many lies and hoaxes going around that I can’t even tell what the candidates really stand for.